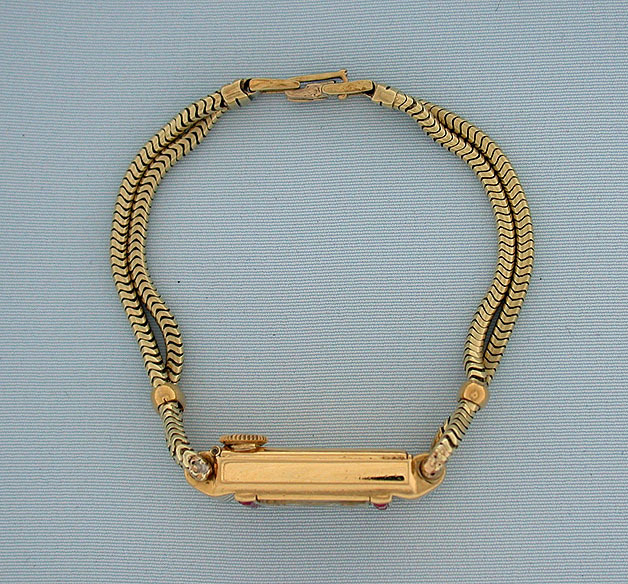 Fine and lovely Cartier 18K gold and ruby Art Deco backwind vintage ladies wrist watch circa 1925. Gold dial with black numerals and gold hands. Snake chain bracelet (with repairs). Rhodium 15 jewel duoplan movement. Overall length 6.2 inches.